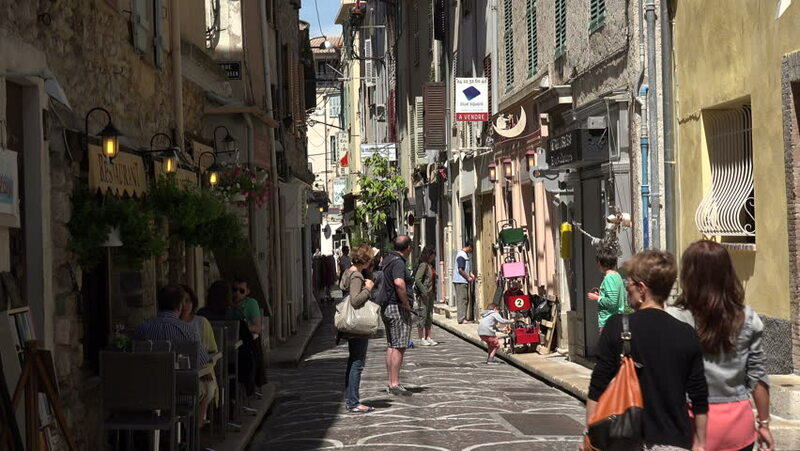 ANTIBES, ALPS MARITIMES/FRANCE - APRIL 29, 2015: Unidentified tourists visit typical narrow street in old town. Antibes was founded in 5th century BC by the Greeks. 4k00:10PRAGUE - JUNE 7: 4K footage of unidentified people in the city center on June 7, 2015 in Prague, Czech Republic. Prague is regarded by many as one of Europe's most charming and beautiful cities. 4k00:10PRAGUE - JUNE 7: 4K footage of unidentified tourists on June 7, 2015 in Prague, Czech Republic. 4k00:11PRAGUE - JUNE 7: 4K footage of unidentified tourists on June 7, 2015 in Prague, Czech Republic. Prague is regarded by many as one of Europe's most charming and beautiful cities.